Kendrick Lamar has won a dozen Grammys. He’s been given the key to the city of Compton. He’s dominated the charts, delighting critics and crowds alike throughout his career. He’s been called the best rapper alive. And as of Monday, he’s become the first-ever rapper—the first-ever non-classical or jazz artist, for that matter—to win a Pulitzer Prize. Lamar’s fourth album DAMN. earned the 30-year-old MC the 2018 Pulitzer Prize in Music. 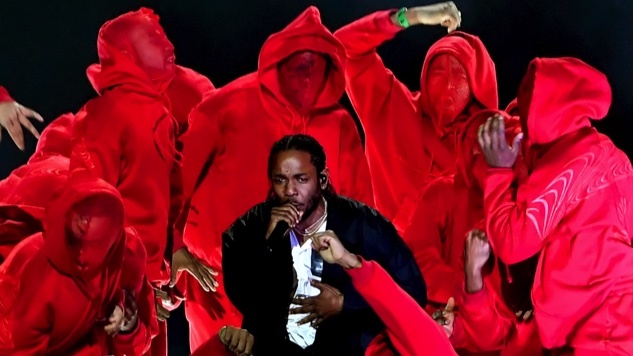 The Pulitzer board called the album “a virtuosic song collection unified by its vernacular authenticity and rhythmic dynamism that offers affecting vignettes capturing the complexity of modern African-American life.” Lamar will win $15,000 along with the award, per the AP. Previous Pulitzer honorees include Bob Dylan, Duke Ellington, George Gershwin, Thelonious Monk, John Coltrane and Hank Williams, but an artist with Lamar’s sort of crossover popular appeal has never won the prize for music. Only in 1997 did Wynton Marsalis become the first jazz artist to win a Pulitzer. Needless to say, Lamar is in spectacular company.